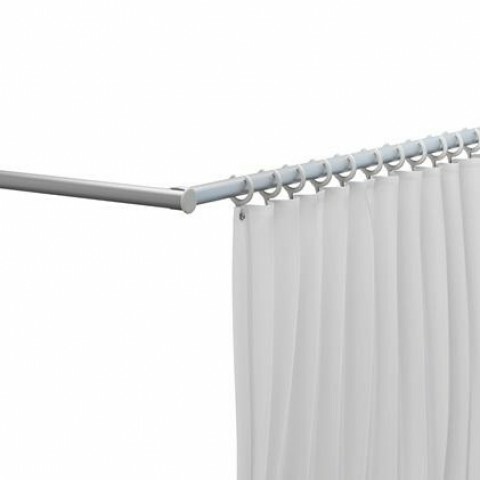 PRT225 Shower curtain rail - opening version,1550 mm x 1550 mm, incl. 2 x 12 curtain rings, in anodized aluminium. Ideal for a room with a ceiling hoist. The two arms can fold to the wall individually creating the space to use a hoist. When the rails are swung out and connected at the corner using a magnetic fixing, the enclosed space is created.